As ever, there are a host of treats in the form of new features, extended capabilities and integration options. On the 19th of March, the release date for the 2019 edition of MOVEit, Advanced Cyber Solutions was the first partner in Europe to offer their customers an overview of what was to come, in an exclusive webinar. For those who were not able to make it to our webinar, we have produced a round up of what was shared. In the past two previous releases, Ipswitch have been increasingly aligning their managed file transfer solution to cloud hosting provider. In particular, Microsoft Azure. 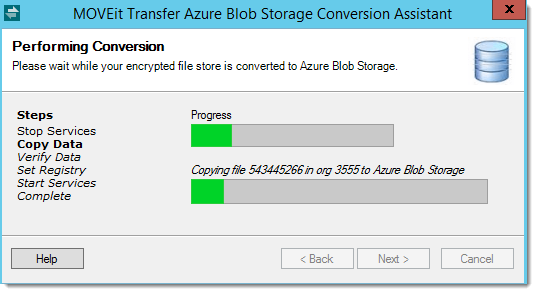 The 2019 edition is no different with support for Microsoft Azure Blobs as a storage medium of files for MOVEIt Transfer. This addition is a significant adds to the support for Azure AD and Azure SQL MOVEit Transfer already has; and means that MOVEit transfer can now be completely hosted using Microsoft Azure technology. For customers who wish to convert to Azure Blob storage, Ipswitch have released a conversion tool for this very purpose. While a little further behind in Azure alignment, MOVEit Azure also finds itself on a similar path, with added support for Azure AD. In previous versions MOVEit Transfer, the reset of user accounts could be invoked in three ways. Administrator resets the password on behalf of the user. The user resets the password by receiving a reset email. The user changes their password after successfully logging into MOVEit Transfer. In the 2019 edition, a further option has been added for answering security questions which were defined at first authentication. This adds an additional layer of security for those who have forgotten their passwords. 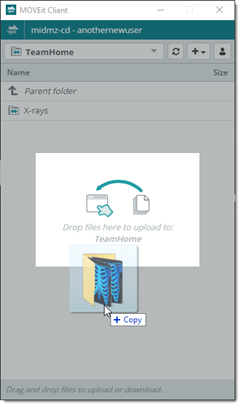 The folder sharing feature was added in the 2018 edition of MOVEit Transfer; and allows users who are permitted to, share folder access to other users or external users. The 2019 edition extends this feature by allowing administrators to define exactly which permissions can be shared. For example, one user might be permitted to share a folder with a permission of upload only. Another user might be able to share the folder with greater permissions such as deletion. The MOVEit client is a great desktop tool for Mac and Windows devices, giving users a drag and drop capability without having to use a browser or FTP client to access MOVEit Transfer. In the 2019 edition of MOVEit Transfer, the MOVEit client has had some new capabilities added. Such as, being able to upload and download entire folders, multi-selecting files; and renaming files or folders. A major addition to to the MOVEit transfer 2019 bag of goodies, is a connector for integration with MuleSoft solution. MuleSoft is a very popular middleware and automation engine which can flexibly be configured to move files from one location to another on a event or schedule basis. Now, with the 2019 edition, customers will be able to use the MOVEit connector for integration with MOVEit Transfer via its REST API. Note that customers who wish to use this connector must have the MOVEit Transfer API module licenses and be using either MOVEit Transfer 2018 or 2019. While not as featurific, MOVEit Automation has had some minor enhancements too. Including a new system log which has been ported from the older administrator console. 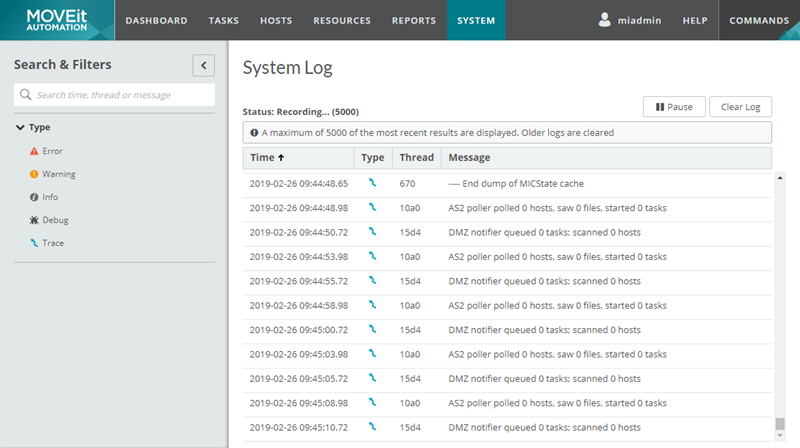 This log gives an overview of system activity rather than just logging activity for the task workflows themselves. It has been missing from the web-based administration console for sometime; and takes us one-step closer to ending the older administration console. Would you like to learn more about the 2019 releases of MOVEit Transfer or Automation? Why not book a call with one of our solution specialists? Click here to book now.